As much as I love having choices, I’m also quite a big fan of limiting choices. Ever shop at Costco, the warehouse giant? People love shopping at Costco, which has been a very innovative retailer. In stocking items in their warehouses, Costco will often limit the choices that a consumer has to make. While they do carry a huge overall selection of products, they often only have one or two choice of a certain type of product, say salad dressing or ketchup. Compare this selection with the local supermarket, where you might have one-hundred twenty different varieties of dressing and at least ten different types of Ketchup/Catsup. When presented with that many choices, it’s really hard to meaningfully differentiate between options (and why you often may choose something based solely on color/design or history.) But, when there are less options, it actually leads to easier (and often better) decisions. It also can help with “buyer’s remorse,” or what we call “would’ve, could’ve, should’ve” in horse racing. Less choices can mean less opportunity for regret and more confidence in future decisions. In contrast to the Costco approach, too much choice can lead to indecision and poor decisions as an individual tries to weigh too many pieces of information. This is a phenomenon that horseplayers are faced with daily. When faced with even a moderately large field, there is an overabundance of information and tons of theoretical possibilities of what could happen. While it may seem inviting to analyze every horse and map out a zillion possibilities, doing so for an entire field is neither productive nor particularly accurate. Often-times, there is no way to accurately answer these questions before a race and the limits of both cognition and prediction are too restrictive to yield useful results. Not all full fields are created the same. In contrast, it is far easier to consider the possibilities of a reduced number of contenders. When you can find a full field that has several horses that have “no chance,”* this enables you to reduce the choices in a race. It’s like Costco took over your past performances, and the salad-dressing display has been reduced to a manageable amount. I find that this approach works well — and helps to prevent “decision fatigue”, especially when playing a long day. In addition, I’d much rather quickly toss a horse that doesn’t figure than convince myself of the importance of a non-vital factor. Of course, tossing horses that actually are contenders is foolhardy, and you need to develop a quick and careful eye at contender selection and, importantly, race selection. Just like Costco has to present you with reasonable salad dressing choices, it is essential to do the same with contenders. Importantly, I’ve found that elimination approaches tend to be more successful at the lower-level of the claiming ranks, especially maidens. Not all full fields are created the same. You can also often find ample non-contenders in the starter allowance levels. In addition, also find many non-contenders in state-bred races, including at the star summer meets, in races that have big fields. At the same time, you need to be particular careful in tossing horses at the marquee summer meets, as well as on racing’s biggest days. Other than some Finger Lakes/California fair shippers, it is generally hard to outright cut many horses, even with tough standards of inclusion. In these deep races, you can isolate the best/better horses on paper, but you still can’t absolutely “throw out” the others. 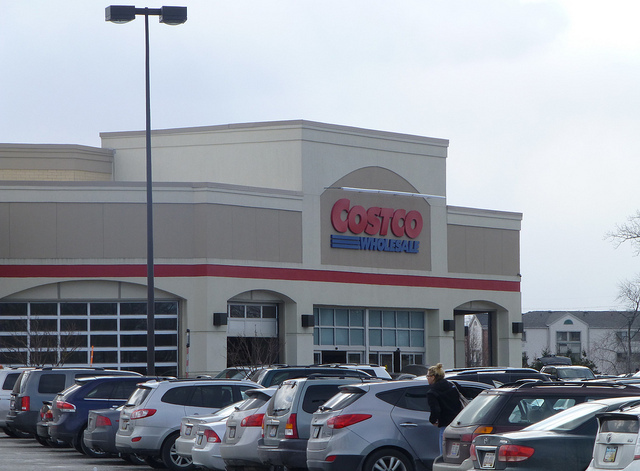 Image: Nicholas Eckhart, “Costco in Mayfield Heights, Ohio.” Copyright 2013.